We do not ask much of our members and pretty much allow anything. We here at the Stoneykins Pumpkin Carving Community, pride ourselves on running one of the most entertaining and troll-free Pumpkin Carving Forums on the internet. This is accomplished by filtering out folks not serious about adhering to the rules, and banning those who manage to slip through and break them. We are very serious about keeping our forums clean and troll-free, so please consider your account an investment and treat it accordingly. 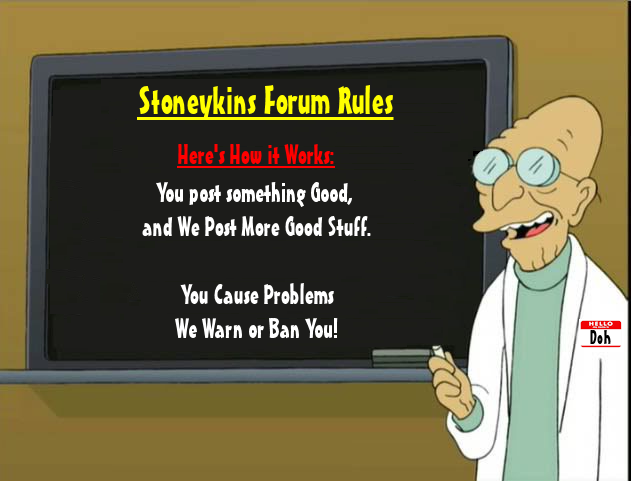 Read the rules, use common sense, and help keep the Stoneykins Forum one of the best Pumpkin Carving message boards on the internet! * There is to be NO pattern posting or sharing of patterns on the forum. * Your posts must be legal and not break any laws. * Do not PM (Private Message) or email other board members for patterns. * Carving questions should be asked on the board not in PM or Email. * Do not self promote your website. * Spamming is also prohibited in PM and Email to the boards members. * No personal attacks or insults are tolerated. * No abuse of this forum of any kind. * Each post should have a purpose. This is not a chat room. Each post should have content value. * Discussions and posting of images, should be appropriate for PG13. * Be respectful of the site and members at all times. * No cross-posting. Post one subject only once. * Do not hot-link (steal) graphics from other sites, Use sites like Photobucket. * Image size - keep all images smaller than 800 pixels horizontal and 800 pixels vertical. * You may not type in ALL CAPS as it is considered rude and Yelling. * All messages and activity on this forum are subject to monitoring. * Discussions regarding "departed members" are subject to removal as these discussions generally turn heated. * Must be setup in your profile, and not manually added to your messages. * No Site banners or Links are allowed in your signature. * if you use a Image it should not be larger than 500 pixels wide by 60 pixels high. * Maximum font size cannot be larger than normal default size. * Must be kept to a maximum of four lines of text. * We reserve the right to change or ask you to change and/or remove your signature at any time. 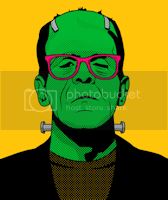 * Users are permitted to utilise a gallery avatar or to link to one of their own. * Avatars are subject to the same conditions as posts with respect and decency, and so forth. * We reserve the right to change or ask you to change and/or remove your avatar at any time. * Users abusing these rules will be warned and/or may lose their avatar privileges. * All messages express the views of the author, and neither the Administrators, nor the Moderators. will be held responsible for the content of any message. * The Admin and Moderators of this Forum reserve the right to remove, edit, move or lock any thread for any reason. * Respect these rules and we will respect you. If you do not, you will be warned or banned. We reserve the right to Warn or Ban any board member on the forums. * Account Ability: Only one person may use a forum account. Account sharing is a bannable offense, so please keep your password secure. * Additional Rules may be added to this Rules page.